It's been a couple of weeks since my last update. To be honest, I'd much rather be writing training updates, but for now these little health updates will have to do:-) An exciting weeks draws to a close. After being admitted to Crestwood Hospital this past Monday, a temporary inferior vena cava filter was implanted on Tuesday afternoon by a vascular surgeon. On Wednesday morning, my orthopedic surgeon was finally able to repair the lower tendons in my left ankle. By Wednesday afternoon, I was released from the hospital. So what's next? I am currently resting at home. The procedure to remove the temporary filter is tentatively scheduled for next week once I've had a chance to see my hematologist for a follow up visit. Another follow up is scheduled for the following week with my orthopedic surgeon to check on my ankle's progress, remove the staples and put my ankle in a non walking cast for approximately 4 weeks. By the way, I've had lots of time to think the last few weeks and I decided to put this energy to good use. 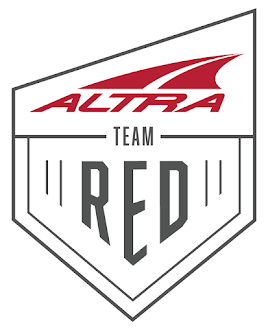 I've created an ongoing fundraising effort (see link in upper right corner of this blog) that I will be persuing in all my future ultra running and racing adventures. Please check out the page, no strings attached, and please share. Blot clots and clotting disorders are much more common than you think and they can affect anyone, even endurance athletes, even without any predisposing factors. I learned this lesson the hard way. But there are lots of things we all can to to reduce this risk for ourselves as well as others by educating ourselves and by supporting the efforts of organizations like the National Blot Clot Alliance (NBCA) and their "STOP THE CLOT" campaign.